Let the glory of your family shine through with glimmering birthstones. Each 4mm round stone is available in synthetic or genuine, with 10K or 14K yellow or white gold. 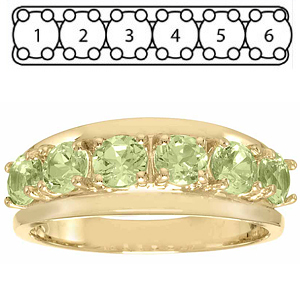 Choose 4-6 stones to represent your loved ones.